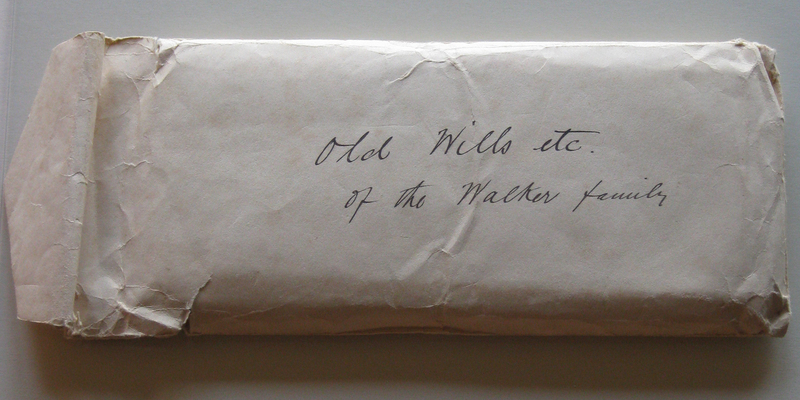 This is my ninth blog post in a series about some old papers of the WALKER family, from Kirkliston, West Lothian, Scotland. See a list of these papers HERE. I have previously posted all those documents that are by, or speak directly about my Walker ancestors. I am now posting some documents where I am unsure of the nature of the connection to the Walker family. Please see my notes at the bottom. 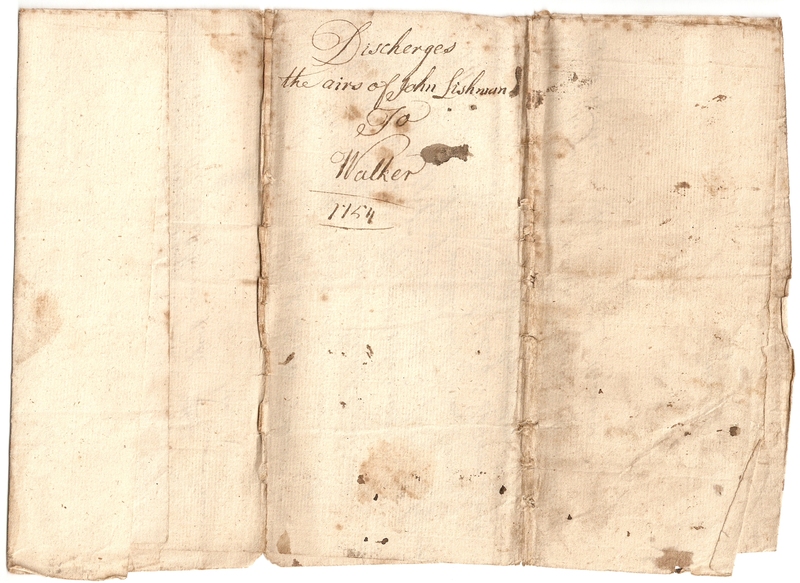 This is the second of two “Discharges” to William Walker (my ancestor) from the heirs of John Lishman, and he widow – Isobell Gray. I have previously posted John Lishman’s Disposition. 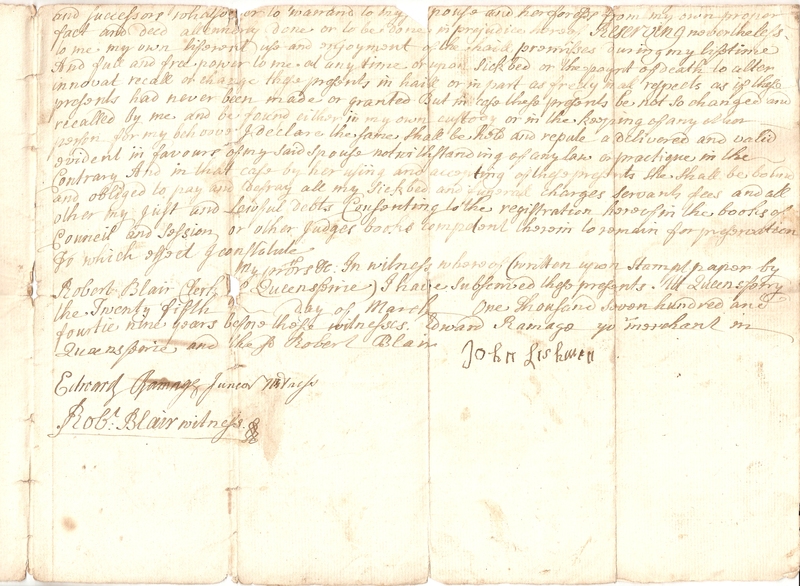 John was a witness to the marriage contract of my ancestors; William Walker and Elizabeth Barron, in 1728. Please click on the images to see the scans at full resolution. Transcribed text appears in a Maroon colour below each scanned image. At the bottom I’ve made some notes of my own about the people and places in the document. Death by me – Jean – her mark x x Alexander. Roustoun Mains; is (I think) Royston Mains, in the Granton area of Cramond, Edinburgh. Whithous; this might be where Whitehouse Road is, in Cramond, Edinburgh. 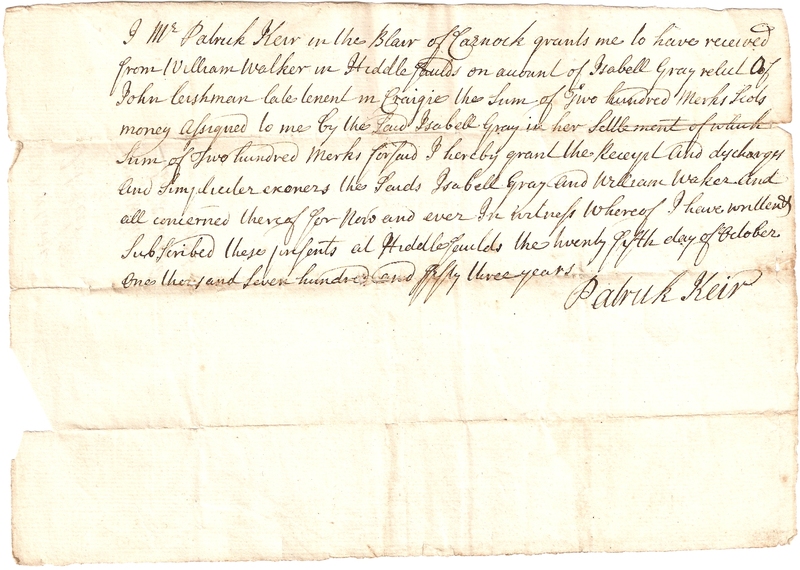 Archibald Cleland (or Kleland) married Margaret Mitchell at Kirkliston, on 18th Oct 1729. See HERE. 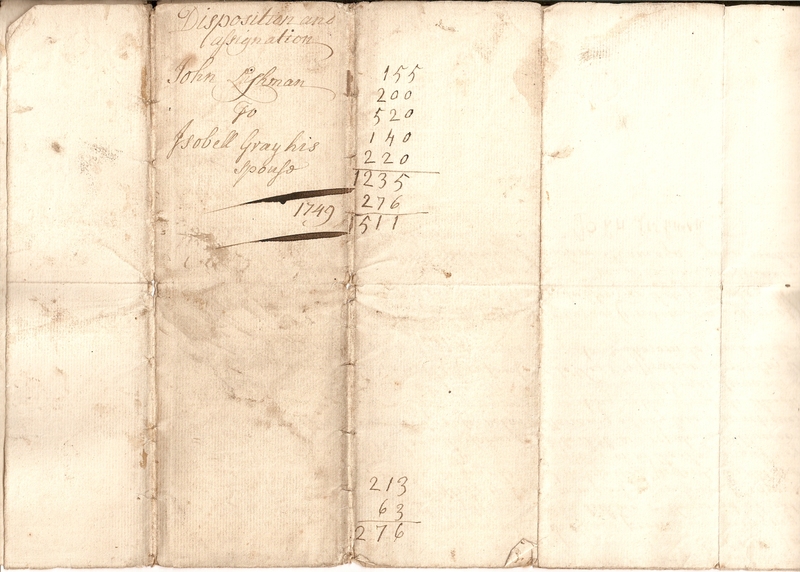 They appear to have 6 children christened at Kirkliston, between 1730 and 1747. See HERE. Andrew Aucherlonie m. Isabell Alexander, at Cramond, on 16th May 1719. 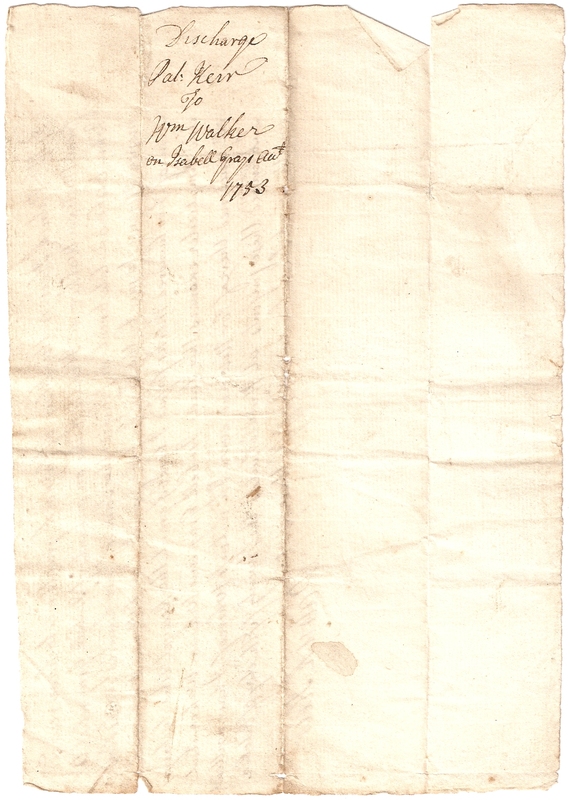 Andrew Auchterlony m. Isabel Alexander, at Saint Cuthberts, Edinburgh, on 3rd Jun 1719. These two records are so alike that I think they must be for the same couple. Andrew and Isobel also appear to have 6 children, christened between 1720 and 1735; the first in Corstorphine, and the rest at St Cuthberts, Edinburgh. See HERE. 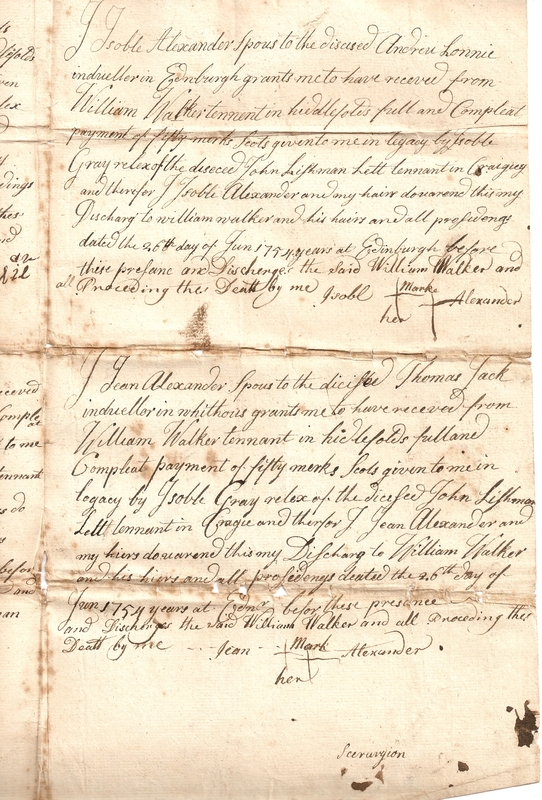 Thomas Jack and Jean Alexander married at Corstorphine on 30th May 1723. They too appear to have had 6 children, christened between 1724 and 1739; the first at Corstorphine, and the rest at St Cuthberts, Edinburgh. See HERE. There are presumably family relationships between all these couples, and the other individuals named in this document. I presume that Isobel and Jean Alexander were sisters. But in most cases I have yet to work out what the relationships were exactly. 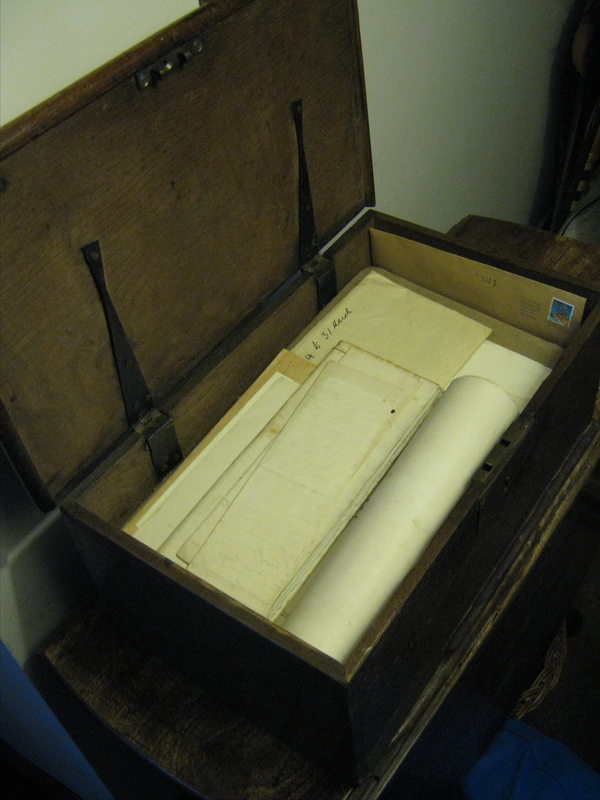 This is my eighth blog post in a series about some old papers of the WALKER family, from Kirkliston, West Lothian, Scotland. See a list of these papers HERE. 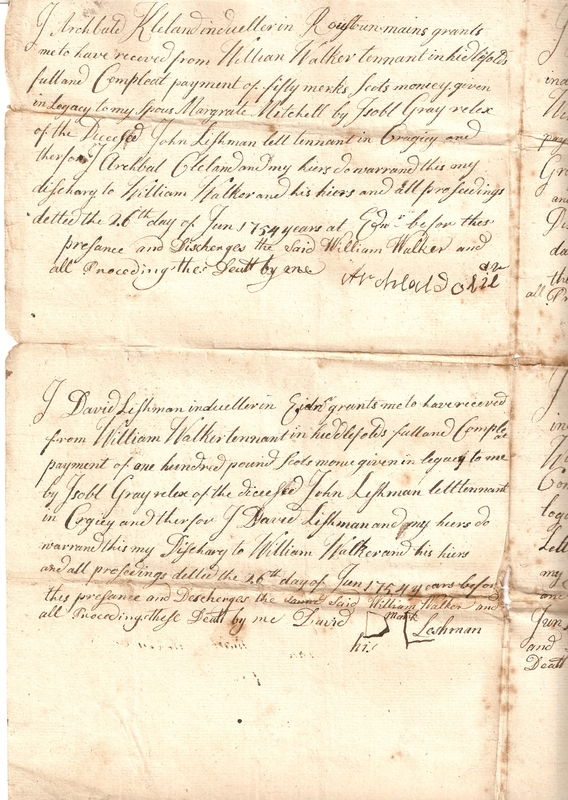 This is the first of two Discharges to William Walker (my ancestor) and Isobell Gray, the widow of John Lishman. I have previously posted John Lishman’s Disposition. 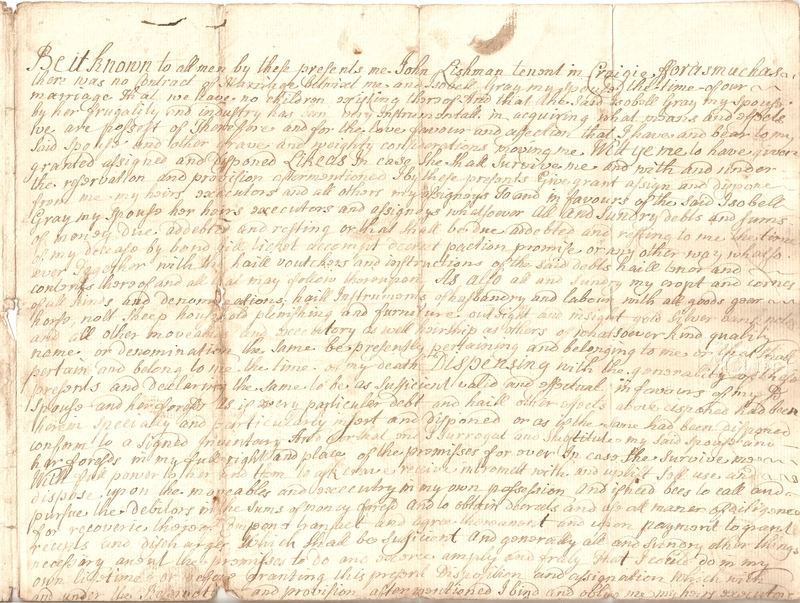 John was a witness to the marriage contract of my ancestors; William Walker and Elizabeth Barron, in 1728. Blair of Carnock; I think this is at Carnock in Fife – now “Blair Lodge”, Oakley. Leishman; the surname is spelt in a number of ways in the documents I’ve seen, including; Leishman, Leshman, & Lishman. For my notes on how John Leishman might relate to William Walker, see John Lishman’s Disposition. Scots Merk; =14 shillings (originally 13s 4d, or ⅔ of a Scottish pound). For more details, see Wikipedia, or TheReformation.info.